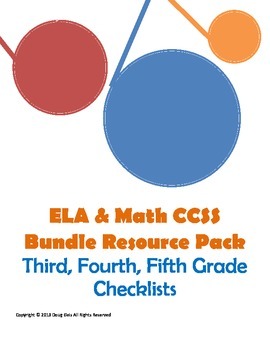 ELA and Math CCSS Bundle Packet for third, fourth and fifth grades. Buy all three for the price of two. These resources are sold individually on my TpT Store. They are color coded, condensed and can be used as CCSS checklists. User friendly for teachers.